Over my lifetime, I have gone from being a voracious reader to being a voracious Netflix and podcast enthusiast. 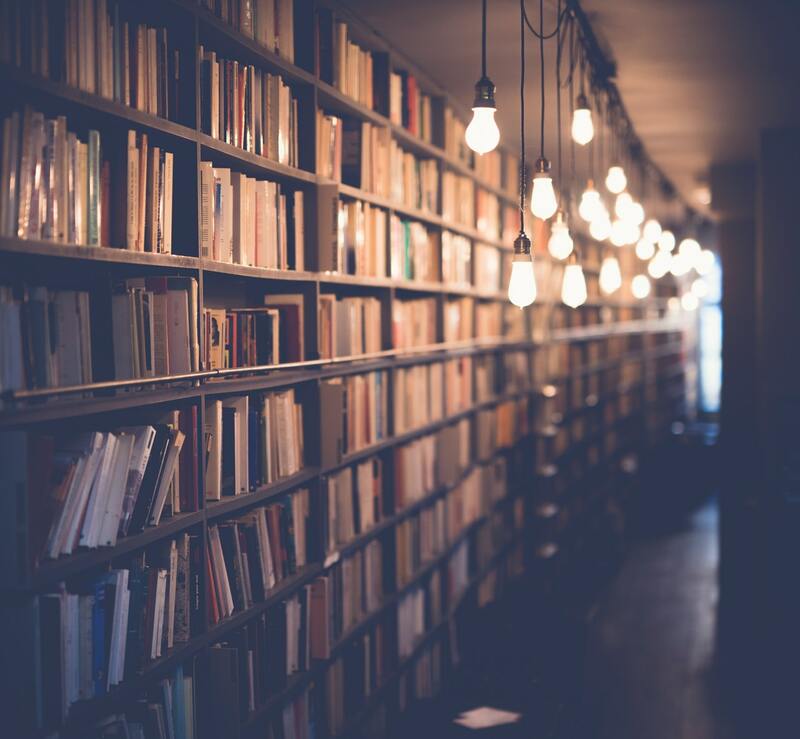 A common story for childhood bookworms, this transition occurred over the course of a text-heavy university degree or two which didn’t exactly make me dislike reading but certainly sapped my enthusiasm for recreational reading. My reading habit remained broken for years after finishing school, so I set a 2018 reading goal of twenty-four books. I thought, “Two books a month! That should be doable!” I quickly lagged behind my goal until moving in with my partner, who completed a truly astonishing 60+ books in 2018. With his good example and (real or imagined) judgement hanging over me I curtailed my Netflix marathons and began reading more frequently. By the end of the year I was not only reading more often and finding it easier to get into new books, I was actually reading faster! I ended up exceeding my 2018 goal by one book and in 2019 I’ve challenged myself to thirty-six books. Just like physical fitness, reading is something you can practice and there are many benefits to doing so. Health benefits include better sleep, improved brain function and health and reduced tension and stress. Regular reading improves focus and memory and it relieves tension by absorbing your attention and taking your out of your daily stresses. Reading fiction has even been shown to aid the development of empathy and emotional intelligence. I don’t extol the benefits of reading to smugly denigrate the internet, TV, film or video games. Each of those media have made and continue to make unique and valuable contributions to storytelling and communication, but little compares to a book as a vessel for depth and nuance. In a world saturated by information, hot takes and high speed entertainment, taking the time to read a book or even a long-read article, whether to learn or escape, is a relief. It can be difficult too, even for those of us who have identified as Readers our whole lives! Attention and focus need to be trained, just like physical strength and stamina. To read more in 2019, start practicing now! The more frequently you read, the more natural it will feel and the faster you’ll get. Look at other habits that might preventing you from doing all the reading you want. One less episode of Friends = twenty-five minutes of reading before bed! Set a goal – or don’t! If setting and accomplishing goals motivates you, choose the number of books or articles you want to read this year and keep a checklist to track your progress. Keep your goal realistic, though. If goals feel more like work than fun, focus on the habit. Instead of tracking pages or books, pay attention to how often you pick up a book, whether it’s for five minutes or an hour. Choose books you are genuinely interested in. Don’t try to challenge yourself with the classics or relive your lofty university reading habits with long academic works if that’s not what excites you. If you’re not enjoying a book, don’t finish it! Keep a book in your bag and grab five minutes of reading at the bus stop or fifteen minutes on your break. This might seem counter to the idea of developing focus or pushing yourself to a reading goal, but having a few different types of books on the go means that you have options depending on how you feel. Share reading recommendations with friends or on social media. Join a website like Goodreads to show off your progress and see what other people are reading. If you’re feeling ambitious, join or create a book club. Creating social interactions around reading adds fun, a sense of reward and accountability. Make a reading bingo game, with different types of books or topics for each square and share it with friends. I have to give credit to my partner for this idea. Thanks to him I have to read Finnigan’s Wake and a “book about music production” this year! Just because you picked up a book doesn’t mean you have to settle in for an hour. You won’t have the same level of focus every day, and if five or ten minutes is all you can enjoy that is OK.
For me, being around someone who reads a lot inspired and motivated me to read more. Browse bookstores or libraries, read reviews and author interviews, and attend author events to get inspired and find books you really want to read.